Today I’m going to tell you how to stay up when markets go down. On Boxing Day, when Canadians were busy shopping, the S&P500 rose 5% in one day! Despite that, the US market was down by about 9% for the month. Many of the trading days in December saw larger than usual moves up or down. It’s tempting to think that we can avoid these rough patches. The question so many investors ask themselves is why not sell out and wait until the markets settle down? The idea that we can sell out and get back in before markets recover is simply false. This is called timing the market. Studies have shown that professional investors aren’t able to consistently time their way in or out, in a way that beats the performance of the overall market. A major reason for this is what I said at the beginning of this video. Despite the fact that December was a terrible month for investors, there was one day where the market rose by 5%. That’s a huge day to miss if you’re sitting on the sidelines waiting for things to settle down. To put things in perspective, from 1990 to the end of 2017, if you missed out on only the single best day in the S&P500, but were otherwise invested on every other day, your performance would go from 9.8% per year down to 9.3% per year. That’s a full 0.5% less per year for having missed one day! When you take out the five best days over that period, your performance would drop to 8.2%. A full 1.6% less per year for having missed only 5 days out of 27 years worth of markets. These big upwards days also tend to happen during tough periods in the markets. Going back to 1970, there are 35 trading days in which the US market rose by more than 4% in a single day. 31 of those occurred when the market was trading below its 200-day moving average. This means that the majority of upward days occurred when the market was significantly off its recent high point1. Many of those days marked the end of the previous bear market. All this data points squarely to the fact that we can’t time the market. 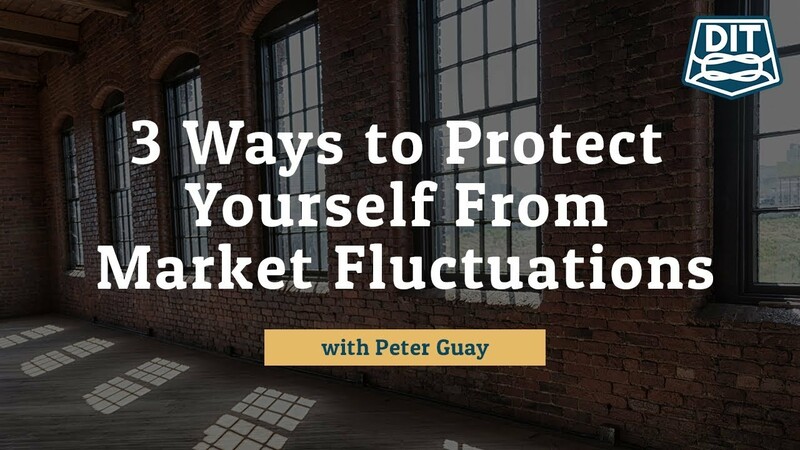 What then should we be doing to protect ourselves from the ups and downs of the market? Here are three basic investing principles that never go out of style, no matter how scary markets become. If you’re retired or near retirement, you want to hold at least 3 to 5 years worth of your annual spending in bonds. You’ll actually want a bit more than that to ensure that you can rebalance your portfolio and buy more stocks when markets drop like they have recently. This will help you ride out the rough patch in markets by living off your bonds, until markets recover. Be internationally diversified. Make sure your stock market exposure is spread over thousands of stocks across dozens of countries. When the US market dropped by 9% in December, International and Emerging markets dropped by far less. International diversification works by smoothing your returns every month and every year! Remember that the news is driven by ratings and viewers, in order to sell more advertising. News is written to strike our emotional chords. Their objective is to get you to watch and listen, so they use inflammatory words and images to keep our attention. This clouds our ability to maintain a rational and objective view of what is really happening. Remember markets won’t go down forever. As long as you have enough bonds to supply your lifestyle while you wait, and you own thousands of stocks, things will get better. While everyone else focusses on Trump’s latest tweets or the challenges with Brexit, you should stay focussed on your sound portfolio strategy based on the principles I just described and stick with it. Have markets got you down? Do you have a portfolio question? Let me know in the comments below!